Though not a lot of business leaders may think of using corporate screensaver as a tool to make the enterprise more productive, doing so is good idea to nurture the business' number one asset – its people. How can a simple computer screensaver encourage business growth and enhance productivity in the workplace? The answer is simple: the management can use it for communication and inspiration. 1. Motivation through communication. Having an open line of communication is a vital element to keep any organization healthy. By ensuring the employees that they can communicate with the upper management about their concerns and issues, the management makes the employees feel that they are part of the company. 2. Motivation through professionalism. Fostering professionals in the work place encourages employees to value their work. 3. Motivation through management style. Leaders have different management styles and every now and then, each manager should stop and evaluate if his or her style is working to motivate the employees. 4. Motivation through training. Additional and continuous training makes employees more knowledgeable about their craft, therefore boosting their confidence and motivating them to become better at their jobs. 5. Motivation through recognition. Recognizing employee's accomplishments gives them pride and encourages the to do their best in their tasks. 6. Motivation through fun. “All work and no play may dull a boy,” so the saying goes. Similarly, a little time for recreation every now and then will surely contribute to the productivity of the business' work force. 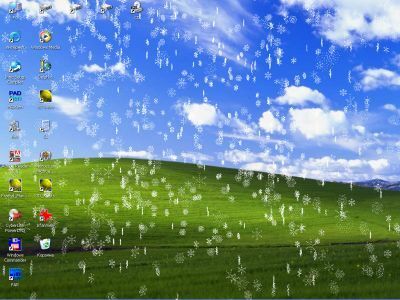 All the above mentioned elements could be implemented in even the simplest ways, such as using a corporate screensaver. Most businesses entrust a desktop computer to each employee. Though the PCs are meant to be used for official business, some employees oftentimes also use the unit for harmless personal use, such as checking their social media accounts, doing online transactions, and sometimes, saving personal files. Some employees tend to save personal images on their work computer, therefore allowing them to use the images as screensavers. Others, however, choose to use default screensaver settings – many don't even pay a lot of attention to it. However, a company must never waste and underestimate even its smallest resources if it wants to maximize productivity and growth. 1. Uniformity. What do you think fosters professionalism – employees having uniform screensavers, or each computer having flashing embarassing drunk photos from the company's last Holiday party? The former of course. 2. Motivation. The elements discussed by Blasingame in his Forbes article can all be implemented partially through company resources such as the screensaver. The programmed messages on the screensaver could include inspirational quotes, encouraging messages from the management, as well as recognition of outstanding employees for a time period. 3. Extension of internal communication. Having a screensaver software can be a cost-effective way to extend communication to employees. 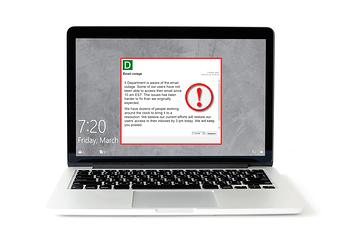 The screensaver can act as a virtual bulletin board for employees. With a wide array of potential benefits, business owners have nothing to lose in choosing to utilize the screensavers to increase productivity in the workplace.